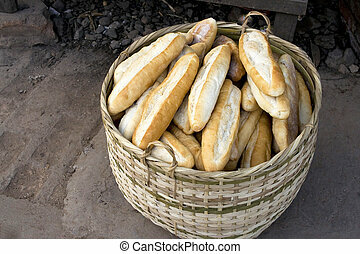 French baguette in basket. 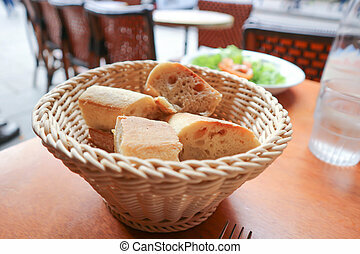 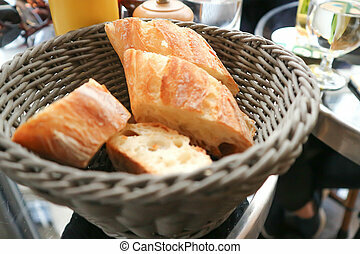 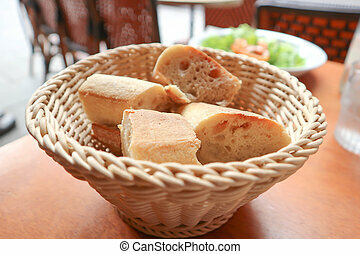 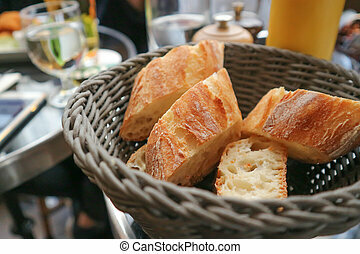 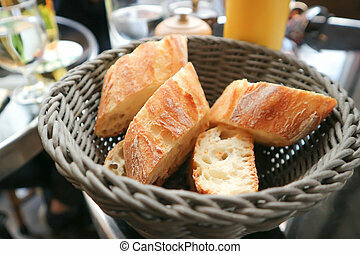 Fresh french baguette bread in basket. 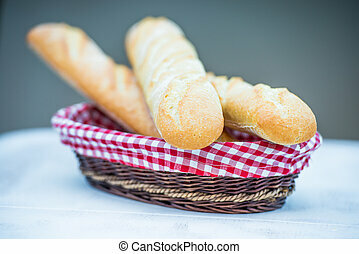 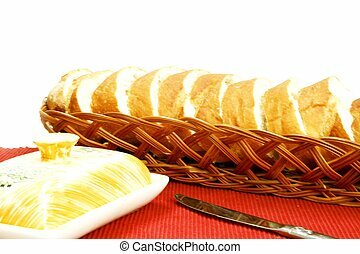 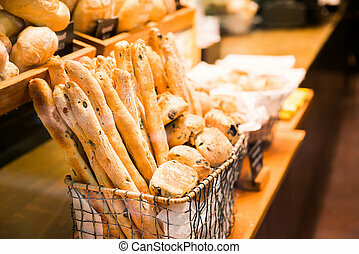 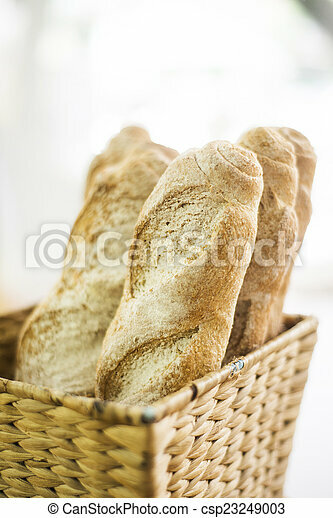 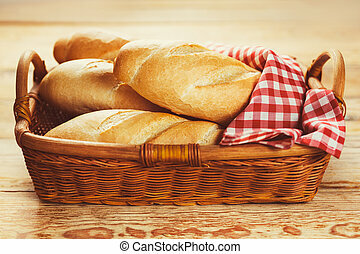 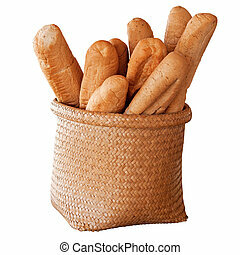 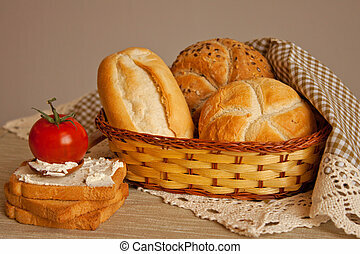 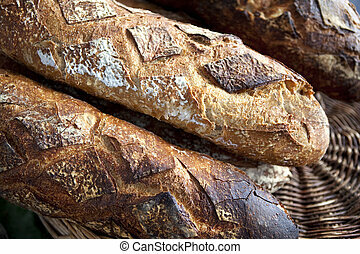 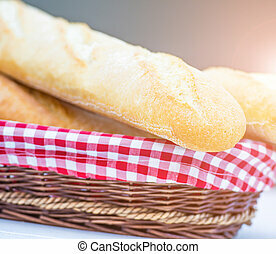 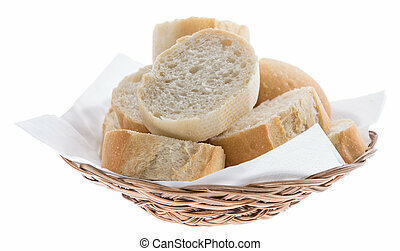 French Bread (Baguette) - in basket over white background.